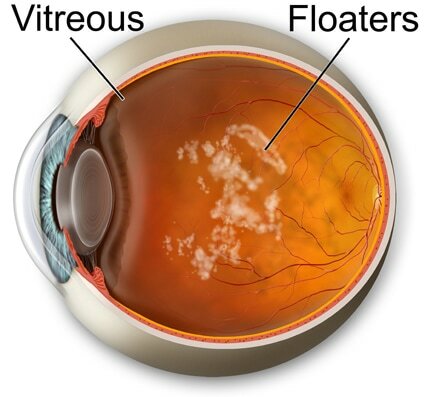 A vitrectomy removes the vitreous gel, along with its floating debris, from the eye. The vitreous is replaced with a salt solution. Because the vitreous is mostly water, you will not notice any change between the salt solution and the original vitreous.